 Grey County planners are headed back out on the road for the second round of public consultations for Recolour Grey, the update to the Grey County Official Plan. Staff are holding workshops in every local municipality to make it easier for residents to participate and share their thoughts. Each event will start with an overview of Recolour Grey and the findings so far. Participants will then dive deeper into policy discussions and recommendations during breakout sessions lead by county staff. These sessions will be split into five themes: Live Grey, Cultivate Grey, Develop Grey, Move Grey and Natural Grey. Grey County has approached Recolour Grey differently than previous official plan reviews. Instead of limiting public consultation to legislated public meeting, planning staff have been active in all corners of the county attending events, hosting workshops and speaking to interested groups. Going out to the public is one of the pillars identified in the county’s Corporate Communication Strategy and the extra effort is paying off. Nine workshops will take place from the end of August through September. Anyone who is unable to participate in a workshop can learn more about Recolour Grey on the county’s website at www.grey.ca/recolourgrey. Comments can be sent by emailing recolour@grey.ca, calling 519-372-0219 ext. 1296, or by mail. Comments will be considered when drafting the updated plan. Once the draft is complete, a formal public meeting will be held for more comments and input. The updated draft will then be presented to Grey County Council for their approval. For more information contact Rob Hatten, Communications Manager, at rob.hatten@grey.ca of 519-372-0219 ext.1235.